With my clubs now stored in the basement, it’s the time of year when I reflect on some of the highlights and personal favorites of the past golf year. Best bounce back: You know about “bounce back.” It’s a stat used on the PGA Tour that tracks the success of a player coming back from a bogey or worse with a birdie on the next hole. Well, it will be hard to beat the bounce back of McKenzie Rupp, a senior from Essexville Garber H.S. at Oct.’s Michigan High School Girls Golf Finals at The Meadows at GVSU. Competing in some tough windy conditions, she incurred a horrendous 16-over par 21 on the par-five ninth hole (her second hole of the day.) But to her credit, MacKenzie composed herself and birdied the next hole, the par-four 10th hole—a unparallel bounce back of 18 shots! The US Junior at Egypt Valley was the best event of the season. My pick is the USGA Junior Amateur held at Egypt Valley in July. The caliber of play of these budding Tour stars was remarkable. I watched phenom Jordan Spieth, 16, shoot an effortless 5-under 67 in his first round over a stretched to the tips Egypt Valley CC, not an easy track. 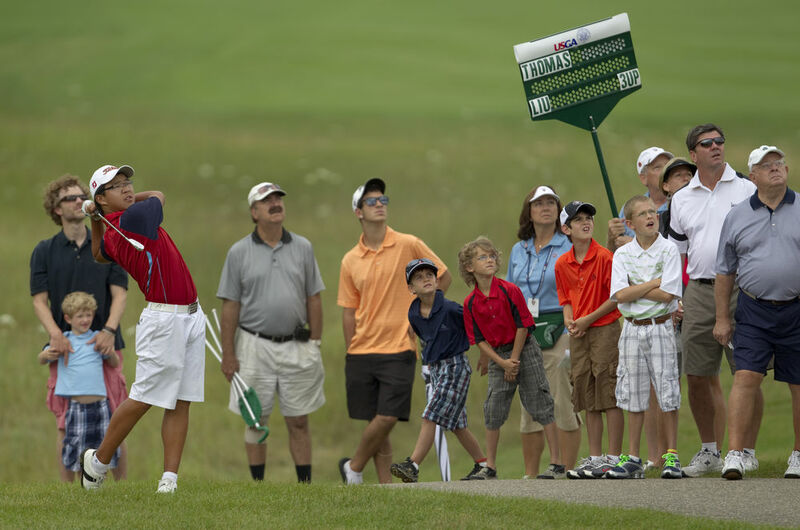 Later, Gavin Hall,15, set a new course and USGA Jr. record by firing a 10-under 62. Then Jimmy Liu, 14, erased Tiger Woods’ name from the record books when he became the youngest USGA champion by besting Justin Thomas 4 & 2 in the finals. It was an amazing week of exceptional play and a historic week for West Michigan as it hosted its first ever USGA national championship. It was worth the wait. Best drive: No, it’s not Steve Stricker’s 424-yard blast at Kapalua’s Plantation course at the opening Tournament of Champions. Instead, the best drive of the year goes to ’10 Michigan Senior Amateur champion Bill Zylstra. You see, Zylstra claimed his trophy at Barton Hills at around 6 P.M. one evening and then promptly drove alone and straight through to Charleston, SC in order to defend his title at another senior event beginning at noon the next day. He safely made the13-hour drive and carded a 71 in his first round, two shots off the lead. Best retort to a player’s complaint: Loved how USGA Executive Director David Fay handled Tiger Woods whining about the greens at Pebble Beach. “Someone is entitled to his opinions, but he’s not entitled to his facts,” said Fay echoing a favorite line of the late Senator Patrick Moynihan. Fay went on to explain that although the poa annua greens at Pebble may have appeared in poor condition, they in fact rolled fine and probably better than any tournament ever held there in June. In contrast, Phil Mickelson didn’t make any excuses for his poor putting over those same greens. Most gut-wrenching loss: Goes to Robert Garrigus who, mimicking Jan Van de Velde at Carnoustie at the Open Championship, blew a three shot lead at Memphis in June by triple bogeying the final hole, costing him his first PGA Tour title. Readily admitting the pressure got to him, Garrigus vowed afterwards to learn from his travails. The next day, Tony Kornheiser on ESPN’s PTL show predicted Garrigus would never win a tournament. Most gratifying win: Goes to Robert Garrigus who wins his first ever PGA victory by firing a final round 64 at the Children’s Miracle Network Classic in Nov. at DisneyWorld. Afterwards in a TV interview, Garrigus dedicates the win to “Tony Kornheiser.” Touché! Most under-reported golf achievement: Goes to 59-year-old Paul Simson from Raleigh, N.C. who won the Senior “triple crown” this year, taking home titles in the British, Canadian and USGA Senior Amateur championships. 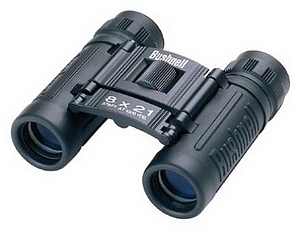 Best item for tournament viewing: A pocket-size pair of binoculars. I used Bushnell’s lightweight PowerView model at Whistling Straits for the PGA and they worked beautifully. Handy too for watching college football action at The Big House in Ann Arbor. I used them to zero in on several missed field goals! Best 19th hole outside Michigan: Goes to Palm Springs’ Indian Wells Golf Resort whose expansive clubhouse includes a second floor outdoor patio area overlooking the golf course and the scenic mountain ranges. With a gas fire pit as a conversational centerpiece, one couldn’t find a better spot to marvel at the surroundings while rehashing the scorecard and sipping a cold one. Best post-event Press conference: No press conference offered more compelling theatre than did the losing USA team at the Ryder Cup. The emotion displayed by dejected Hunter Mahan followed by the stellar support given him by his team mates spoke volumes about camaraderie and the Ryder Cup itself. Can’t wait for Medinah in 2012! Best golf flap resolution: Goes to PING’s John Solheim who wisely stepped in over the controversial squared groove wedge flap brought unwisely to the forefront by Phil Mickelson’s use of it earlier this year. It was an unnecessary distraction for golf already reeling from a stagnant economy and Tiger Woods’ downfall. Kudos to Solheim for putting out the fire by allowing the PGA Tour to finally ban the club. Best use of golf for economic development: Goes to the Golf Club at Harbor Shores in Benton Harbor. The Jack Nicklaus-designed layout is the centerpiece of an ambitious and community-minded development project aimed at revitalizing the area through the combined efforts of three non-profits: Whirlpool Foundation, Cornerstone Alliance and the Consortium of Community Development. Three cheers! By the way, the exhibition in August by Nicklaus, Arnold Palmer, Tom Watson and Johnny Miller was a first-class opener. Most lies told in an 18 hole event. CC68 outing.